Single Grain significantly increased our customer acquisition volume month-over-month. It has a lot to do with their approach to experimentation and scale - their integrated testing strategy makes them world class. By leaning on Single Grain as a strategic partner and an extension of our team, we get more time to focus on refining our product. Twenty20 is an innovative new player disrupting the crowded stock visual media space with a revolutionary twist on a tried-and-true mode, but to get from their brand mission to a successful company took time, effort, and ingenuity. Twenty20 knew it possessed a key differentiator from other entrants in the marketplace, yet subscription revenue growth was stagnant due to reliance on an inconsistent sales process. Twenty20’s mission was to overcome barriers to growth. Key challenges to overcome were the reliance on in-house sales and the competition for attention in a crowded field of digital design resources. 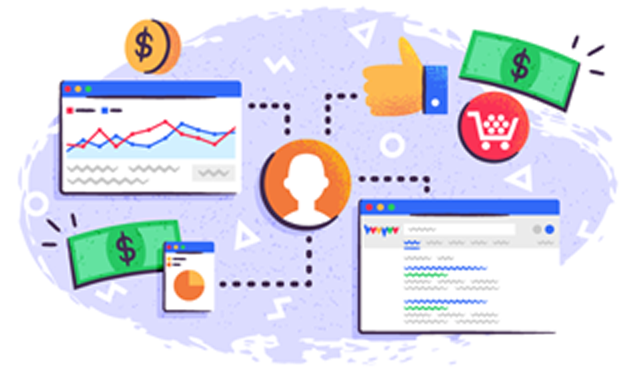 Unburdened from the pressures of cold- calling and account-based marketing, Twenty20 could focus their attention on the pillars that truly differentiate them from their competitors. 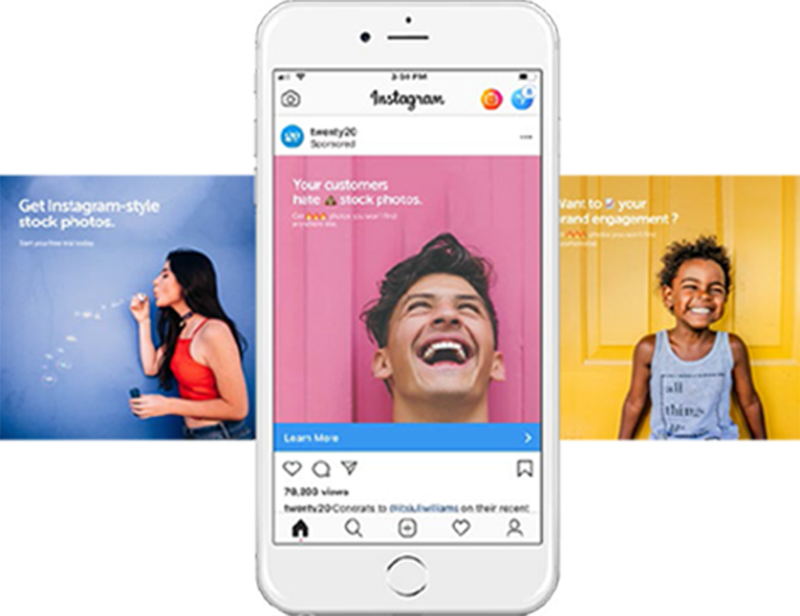 Single Grain designed a customized all-digital solution to marketing that united the brand recognition boosting powers of social media advertising with the compelling "value right now" urgency of search engine marketing. 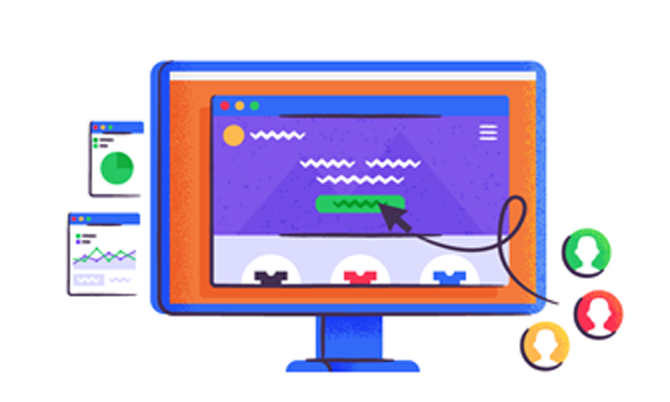 Single Grain implemented an Alpha-Beta-Gamma campaign structure better geared at cost-effectively snatching inventory from enterprise competitors like Shutterstock and Getty Images. As a Google Premier Partner, Single Grain teamed up with Google Labs to transform Twenty20’s marketing analytics model to a complete closed-loop conversion attribution system. 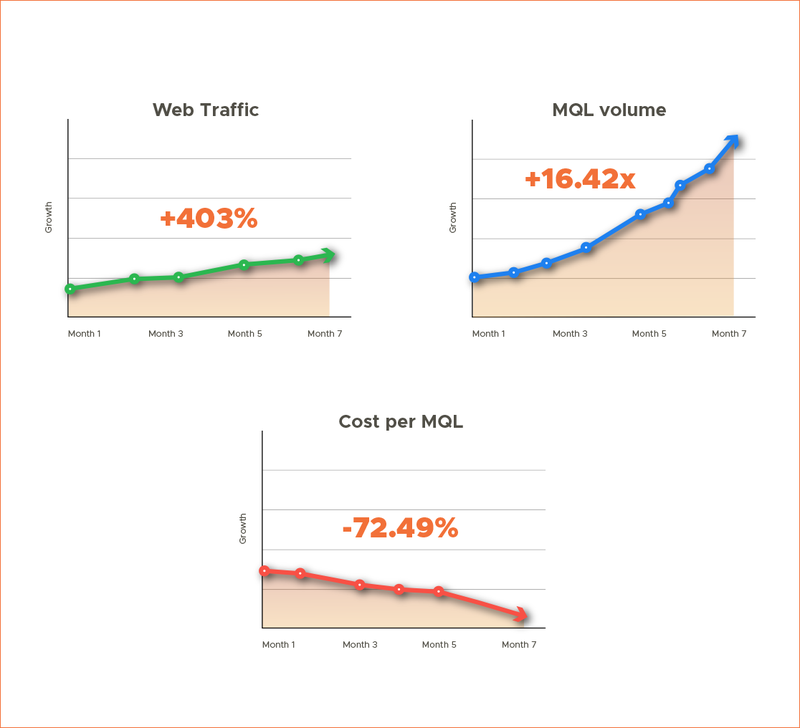 Twenty20 consistently received more traffic volume with the same consistency in revenue per session. 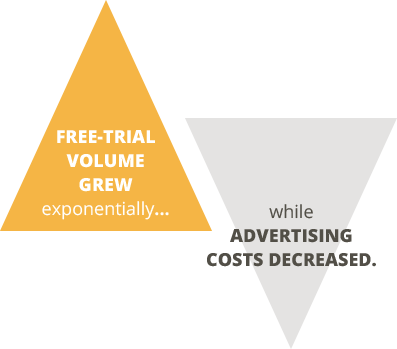 Single Grain successfully reduced advertising costs eating into product margins by efficiently broadcasting to prospects more likely to opt for a free fixed-length trial. Usually, improvement in cost-efficiency is countered by a decrease in volume. Not the case here! Free-trial user volume grew while advertising costs shrank.